Born: 17 May 1863, Chezard-Saint-Martin, Val de Ruz, Switzerland. Died: 22 April 1934, Geneva, Switzerland. 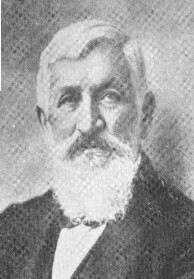 Henri Alexandre Junod, Swiss Protestant missionary, linguist, anthropologist and naturalist, was educated at Neuchatel College, Switzerland, and showed an early interest in natural history. His research into the habits and life history of a tiny butterfly were published in a scientific journal as early as 1884. He studied theology at Neuchatel and after a semester at the University of Basle and another at the University of Berlin was ordained in 1885. Following two years as a minister at Motiers-Travers he entered the Swiss Romande Mission (of the Church of French Switzerland) and went to Edinburgh in 1887 to study English and medicine. In 1889 he married Emilie Biolley and in June that year he was sent out, with Arthur Grandjean, to the Rikatla Mission, some 30 km north of present Maputo, Mozambique. There he was met by Paul Berthoud*, who was married to his sister Ruth. In 1893 the evangelists' school was moved to Rikatla and Junod became its principal. The next year, after a devastating fire at Rikatla, he replaced Berthoud at Maputo. From 1896 to 1899 Junod was on an extended visit to Switzerland. Returning to southern Africa he moved the evangelists' school to Shiluwane, just below the escarpment south of Tzaneen in the South African Republic (Transvaal). His work there was to some extent disrupted by the Anglo-Boer War (1899-1902) and the death of his wife in 1901. During these years he collected over 2000 plants, sending his first small batch to the Boissier Herbarium, Geneva, in January 1891. In 1893 he collected several hundred plant specimens at Howick and Pinetown in Natal. Others were gathered on the coastal plain, up to the Lebombo Mountains; in the vicinity of Shiluwane; at Komatipoort, Haenertsburg and Pietersburg; and during a vacation in Lesotho and at Witsieshoek in January-February 1903. He corresponded with botanists in South Africa and overseas, and many of his specimens ended up in the herbaria of Zurich and Geneva. Some plants went to the South African Museum, and in 1905/6 he sold 300 plant species from the north-eastern Transvaal to the Transvaal Museum (now the Ditsong National Museum of Natural History). His collections included a number of fungi that were sent to Pretoria, where I.B. Pole-Evans* and A.M. Bottomley* described a new species and named it Diplocystis junodii in his honour. He also discovered many new species of flowering plants, and the genus Junodia, later renamed, and dozens of species were named after him. Though he was a pioneer botanical explorer of his time, Burtt-Davey* (1908) complained that his plants were "often scrappy and in some cases unfit for determination". As co-author with Hans Schinz* Juno participated in writing three papers under the title "Zur Kenntnis der Pflanzenwelt der Delagoa-Bay", which were published in the Bulletin de l'Herbier Boissier (1989, 1903) and Memoires de l'Herbier Bossier (1900). Schinz and others described more of his plants in a series of papers between 1893 and 1906. A number of lichens that he collected at Shiluwane in 1900, including three new species, were described by Steiner in 1907. Junod also contributed significantly to knowledge of the insects of southern Africa. Not long after his arrival in Mozambique he published a paper, "Sur quelques larves inedites de Rhopaloceres sud-africaines..." in the Bulletin de la Societe Neuchateloise des Sciences Naturelles for 1891-1892, dealing with some as yet undescribed moth larvae. During his first period at Delagoa Bay he made a considerable collection of particularly moths and butterflies. His specimens were mostly sold, though he donated Coleoptera from the Zoutpansberg district to the South African Museum in 1902 and 1903. Many of his butterflies are in the museum at Neuchatel. Before 1897 he collected insects for the Transvaal Museum, and in 1902 sold it an extensive insect collection, including several new species. In 1906/7 he again sold a large collection, consisting mainly of Coleoptera, to that institution. During his stay in Switzerland from 1896 to 1899 his insect collections were described in a series of papers under the general title "La Faune entomologique du Delagoa" in the Bulletin de la Societe Vaudoise des Sciences Naturelles (1899). Junod himself wrote one of these papers, listing the 479 species of Coleoptera he had collected, with some notes on their habits and localities. His 56 species of Orthoptera (including two new genera and ten new species) were described by O. De Schulthess-Schindler. The same author, with others, described the 160 species of Hymenoptera he collected (eight of them new to science). A.L. Montadon listed his Hemiptera, which amounted to 52 species. The Lepidoptera were described under the same general title in the Bulletin de la Societe Neuchateloise des Sciences Naturelles (1898-1899). Scores of insect species were named after him. Junod also collected non-marine molluscs in the northern Transvaal (now Limpopo), and at Rikatla, Maputo, and Inhambane. The species Trachycystis junodi (since renamed) was named after him. He sent molluscs and other natural history specimans to the museum at Neuchatel. He also collected some scorpions, solifugae and a trap-door spider at Shiluwane, which he donated to the South African Museum and which were described by W.F. Purcell* in 1903. During his first three years at Rikatla he furthermore made meteorological observations and published them in the Boletin da Sociedade de Geographia de Lisboa in 1891. The paper includes monthly means of atmospheric pressure, rainfall, air temperature, cloud cover, and force of surface winds. In 1903 Junod was recalled to Neuchatel as a minister, married Helene Kern in 1904, returned to Shiluwane, and in 1906 moved the evangelists' school back to Rikatla. From 1909 to 1913 he was back in Switzerland. In 1917 he established a school for the training of Bantu clergy at Rikatla, and that same year his second wife died. During this period he also spent some time in the north-eastern Transvaal and at Witsieshoek. In 1920, after delivering a series of lectures at the Transvaal University College in Johannesburg (soon to be the University of the Witwatersrand), he returned to Geneva and was appointed as a mission agent. In this position he gave a number of lectures at Lausanne, Geneva and London, and in 1925 was awarded an honorary doctorate of literature by the University of Lausanne. For some years he was president of the Bureau International pour la Defense des Indigenes. During his last years he suffered from arteriosclerosis and from 1931 was nursed by his sister, though he was able to continue writing to his death. His ashes were buried at Rikatla. Junod was a brilliant scholar with wide interests. He belonged to many societies, including the South African Association for the Advancement of Science, and published numerous books, pamphlets and articles on anthropological, linguistic, ecclesiastical, educational and biographical subjects, as well as a novel and a number of short plays that reflected the cultural life of the indigenous people among whom he worked. As early as 1894 he published a first Ronga reader and spelling book, followed, among others, by a Ronga grammar (1896), a book on the Tonga language and folklore (1896), a vernacular grammar of Tsonga for schools (1903), and Elementary grammer of the Thonga-Shangaan language (1907). Among his anthropological works, Les Ba-Ronga: Etude ethnographique sur les indigenes de la Baie de Delagoa... (Neuchatel, 1898) deals extensively with the customs, common law, industry, traditions and religion of the Ronga and is an outstanding ethnographical publication. Probably even more important is The life of a South African tribe (Neuchatel, 1912-1913), a two-volume description of the Tonga of the Transvaal. It remains one of the most comprehensive studies of its kind and led to his election as an honorary Fellow of the Royal Anthropological Institute. Later editions were published in 1927 and 1962. Among others he gave attention to local knowledge structures and belief systems relating to the natural world, including indigenous knowledge of plants and their medicinal uses. Other publications of anthropological interest are "The condition of the natives of south-east Africa in the sixteenth century, according to the early Portuguese documents" in the Report of the South African Association for the Advancement of Science for 1913, and several other papers read by him at the association's annual congresses from 1906 to 1920. In the latter year he was president of Section E of the association, which included anthropology. Bullock, A.A. Bibliography of South African botany up to 1951. Pretoria: Department of Agricultural Technical Services, 1978. Burtt-Davy, J. & Leendertz, R. First annotated catalogue of the vascular plants of the Transvaal and Swaziland. Report of the South African Association for the Advancement of Science, 1908, pp. 230-235. Cape of Good Hope. Report of the trustees of the South African Museum, 1902, 1903. Dippenaar-Schoeman, A.S. & Jocque, R. African spiders: An identification manual (references, Purcell). Pretoria: Agricultural Research Council, 1997. Doidge, E.M. The South African fungi and lichens to the end of 1945. Bothalia, 1950, Vol.5, pp. 1-1094 (see p. 39). Evans, I.B. Pole & Bottomley, A.M. On the genera Diplocystis and Broomeia. Transactions of the Royal Society of South Africa, 1918-9, Vol. 7, pp. 189-192. Google scholar. http://scholar.google.co.za Publications by H.A. Junod. Harries, P. Field sciences in scientific fields: entomology, botany and the early ethnographic monograph in the work of H-A. Junod. In S. Dubow (Ed. ), Science and society in southern Africa (pp. 11-41). Manchester University Press, 2000. Jacot-Guillarmod, A. Botanical exploration in Basutoland. South African Journal of Science, 1967, Vol. 63, pp. 81-83. South African Association for the Advancement of Science. Report, 1906-1908, 1910, 1913; and South African Journal of Science, 1918, 1920. Transvaal Museum. Annual report, 1905/6, 1906/7. (National Archives, Pretoria, Vol. TKP 196).